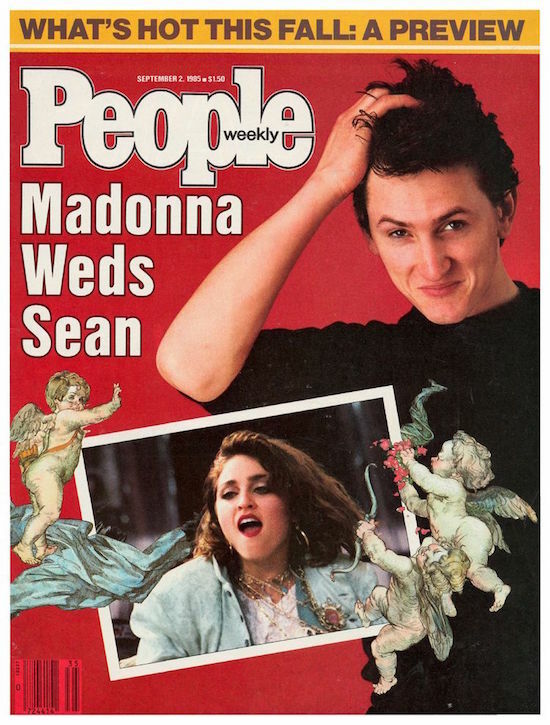 On September 2 1985, Madonna and Sean Penn are featured on the cover of People Magazine with the headline: Madonna Weds Sean. The World Watches (From Afar) as the Pop Princess Takes Reclusive Film Star Sean Penn on a Walk to the Altar. From above the bluffs of Point Dume, Malibu, a half-dozen choppers filled with photographers sent down a windy backwash and a constant din. Below, at the huge wooden gates fronting real-estate developer Dan Unger’s $6.5 million home, blue-blazered guards oversaw an I.D. check of all who entered, while inside others prepared for the evening ahead by arming themselves with infrared binoculars to scan the perimeter for intruders. One interloper—an Italian photographer in camouflage gear and blackened face who had been hiding in the shrubbery since 1:30 in the morning—was ejected and his pictures of the blessed event were destroyed. 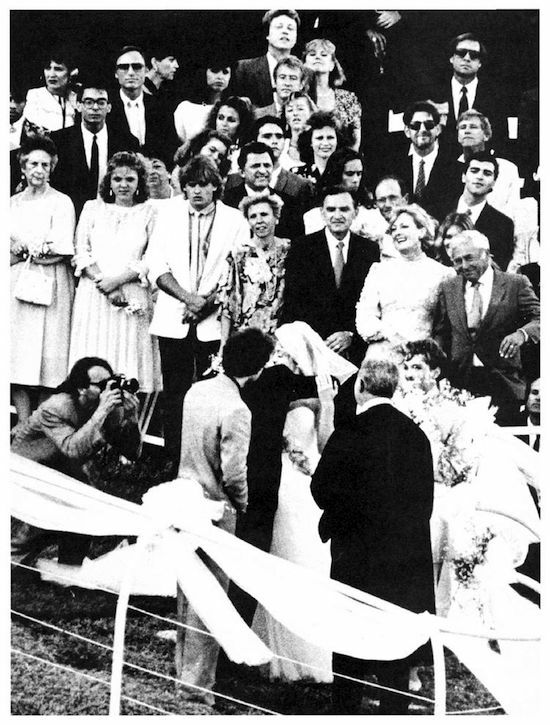 On August 13 1985, Madonna and Sean Penn got their marriage license. 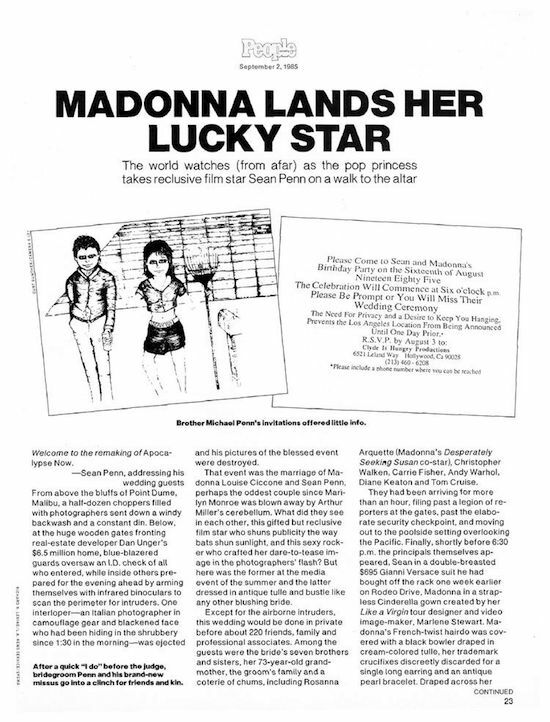 On June 24 1985, Madonna and Sean Penn announced that they would marry on August 16, 1985.